Geolink permanent goal is to harmonise and update the stratigarphic, lithostratigraphic and sequence stratigraphic scheme of the Norwegian Continental Shelf. 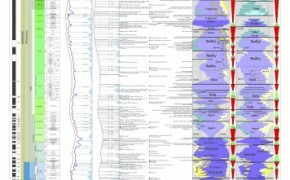 The sequence stratigraphic charts are the following-up of the charts published by Pierre-Charles de Graciansky, Jan Hardenbol, Thierry Jacquin and Peter R. Vail in the SEPM (Society for Sedimentary Geology) special publication No. 60, 1998.